You've got a wide range of foods on your plate and some are difficult to digest. 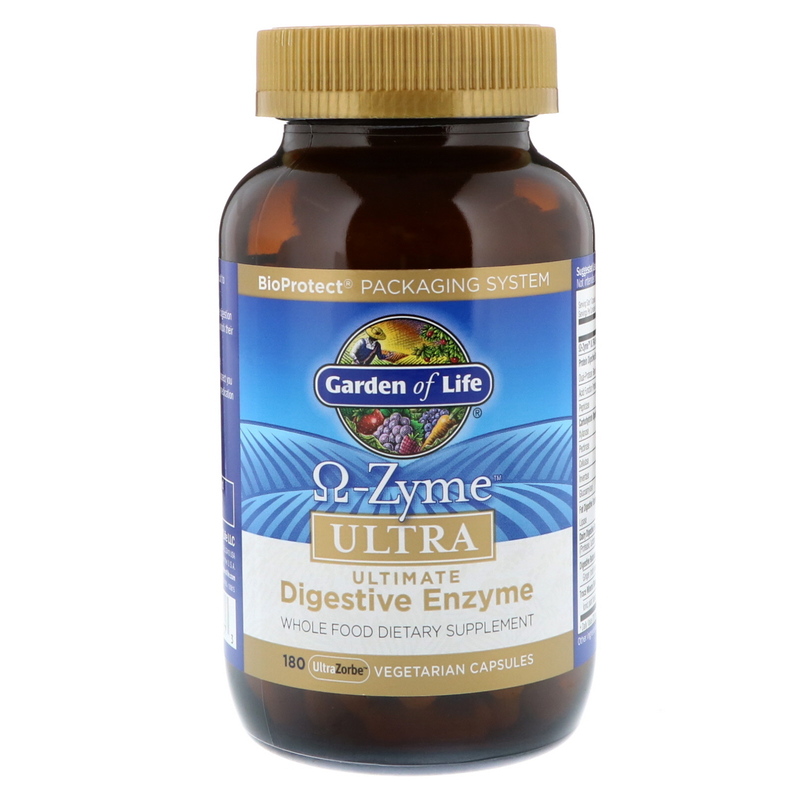 That's why you want Ω-Zyme Ultra. With 21 vegetarian enzymes, Ω-Zyme Ultra promotes complete digestion of the proteins, carbohydrates and fats in your food, helping you unlock their nutritional value. 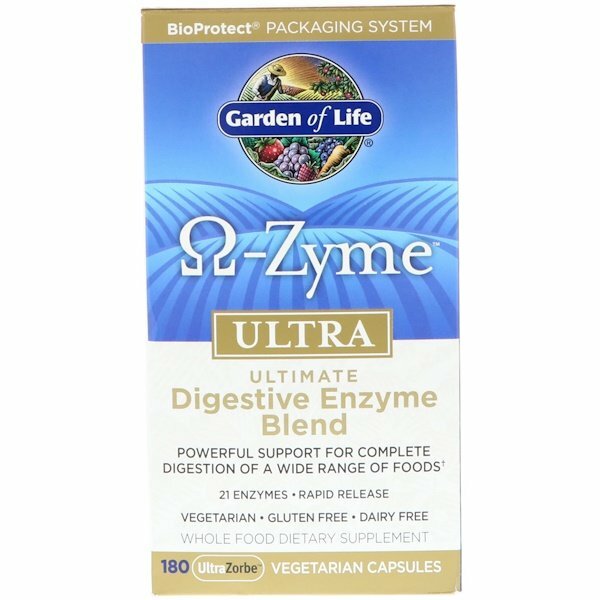 Broad-Spectrum, specialized support for digestion of foods containing gluten, dairy (lactose and casein), phenols and vegetable fibers. 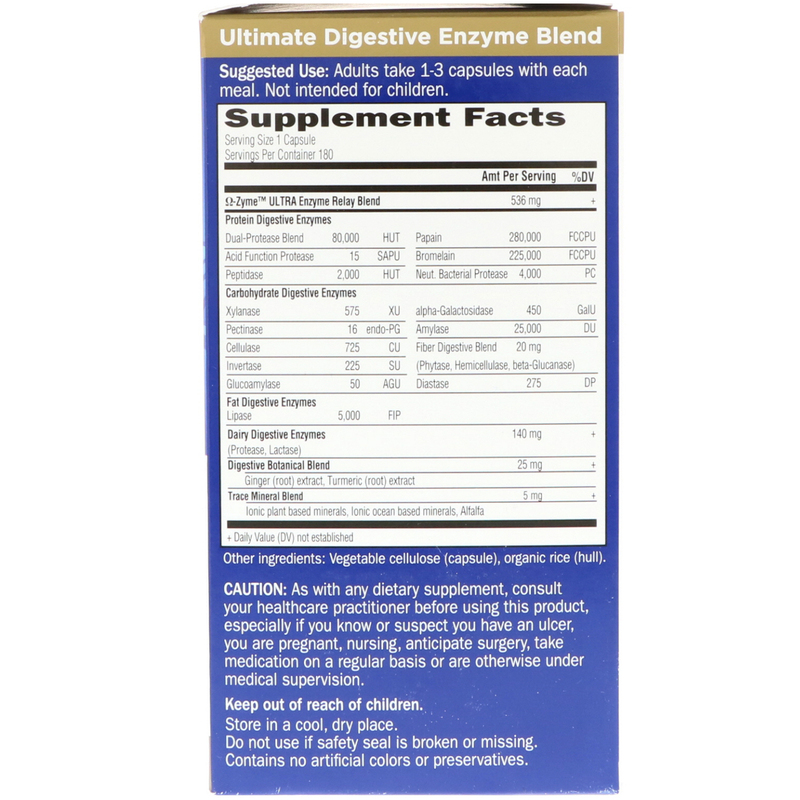 pH Optimized Enzymes Support for the entire digestive tract. Adults take 1-3 capsules with each meal. Not intended for children. Caution: As with any dietary supplement, consult your healthcare practitioner before using this product, especially if you know or suspect you have an ulcer, are pregnant, nursing, anticipate surgery, take medication on a regular basis or are other wise under medical supervision.